BOSTON (AP) — The Celtics and Pacers aren’t interested in talking about the past as they prepare to tip off their first-round playoff matchup. Indiana doesn’t want to dwell on injuries, like the season-ending right knee injury Pacers guard Victor Oladipo suffered in January. Likewise, the Celtics aren’t thinking about Gordon Hayward early struggles and eventual demotion from the starting lineup in his first season back from a devastating ankle injury. 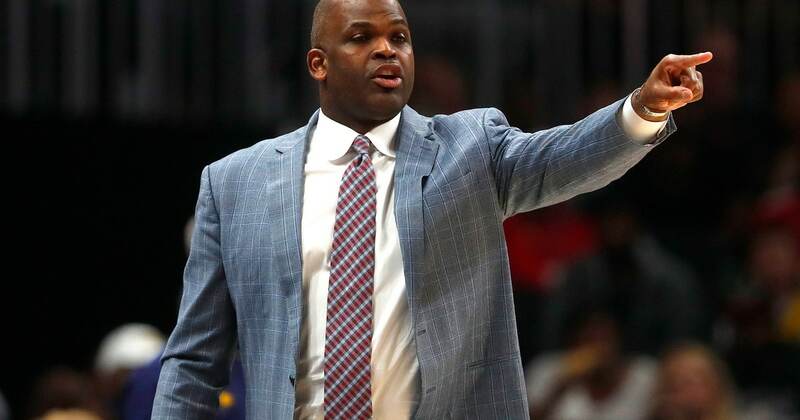 And neither team wants to focus on the inconsistencies that have gnawed at Celtics coach Brad Stevens and Pacers coach Nate McMillan throughout the season. Both teams began 2018-19 expecting to challenge for the Eastern Conference throne abdicated by LeBron James’ departure to the Los Angeles Lakers. The only thing certain as the fifth-seeded Pacers and fourth-seeded Celtics take the TD Garden floor on Sunday is both teams still believe they can find redemption in the postseason. Fair enough. But the spotlight will certainly be on Irving, who can explore free agency this summer, with at least part of the decision about whether he returns to Boston probably hinging on how the Celtics perform over the coming weeks. After reaching the Eastern Conference finals last year without both Irving and Hayward, Boston’s youthful core, led by Jayson Tatum and Jaylen Brown, had trouble jelling with Irving and Hayward back in the mix. It also led to some locker room squabbling with Irving, who in a frustrated moment during a January losing streak said the younger players “don’t know what it takes to be a championship-level team.” He later apologized after Brown took issue with the comments. Hayward said the team is looking forward. For the Pacers, it’s about proving that even without Oladipo they can be the same formidable team that nearly upset the Cavaliers in the first round last year. After Oladipo was sidelined Jan. 23, the Pacers allowed only 108 points per 100 possessions, placing them as one of the top 10 defensive teams in the conference. But in translated into only a 7-12 record over the final two months of the regular season. Boston will be without Marcus Smart 4 to 6 weeks after he was diagnosed with a partial tear to his left oblique abdominal muscle. Smart was injured during the third quarter of Boston’s home loss to Orlando on April 7. Tatum is also on the mend with a shin contusion but is expected to be ready in time for Sunday’s opener. Stevens is mum on who will take Smart’s place in the starting lineup, but it likely falls to either Tatum or Hayward. Indiana was often outrebounded and pushed around late in the season. The list includes Boston, which had more rebounds, blocks and steals than the Pacers in their final regular-season meeting on April 5. The Celtics’ victory gave them a 2-1 season series edge and effectively wrapped up home-court advantage in this round. Making sure Indiana plays tougher will be on players such as 6-foot-11, 240-pound center Domantas Sabonis and 6-foot-8, 220-pound Thaddeus Young, two of the Pacers most physical players. Two of the Celtics’ three losses before the All-Star break also exposed their tendency to blow big leads. What might be most troubling is two of the most egregious examples were at home.